I think sometimes we need to just stop, slow down and appreciate our surroundings. 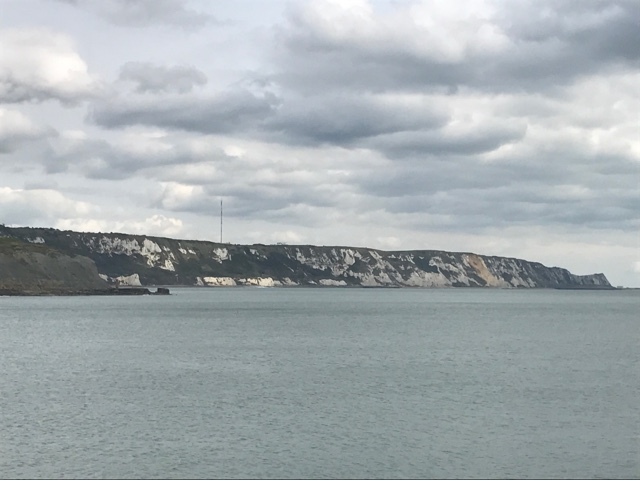 Even on a gloomy day the cliffs that surround Dover and Folkestone really can be something of beauty. Such an English icon those white cliffs. We you coming in on a ferry to take the photo? That's definitely beautiful! You're lucky to have that on your doorstep.